U14 Outdoor Boys Singles Champion Nemanja Stefanovic and Outdoor Girls Singles Finalist Orly Ogilvy. The U14 division produced an excellent crop of young players with bright tennis futures. Two of the highest ranked U14 girls from 2018 split the titles with Victoria Mboko taking the Indoor crown and Cadence Brace grabbing the Outdoor title. 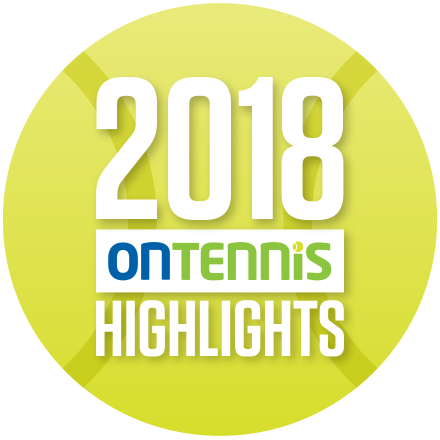 The Indoor event was hosted by White Oaks in Niagara-on-the-Lake and the Outdoor tournament was hosted by Pine Point Tennis Club in Toronto and Credit Valley Tennis Club in Mississauga. U14 Outdoor Provincials Girls Singles Champion Cadence Brace. U14 Outdoor Provincials Boys Singles Champion Nemanja Stefanovic. U14 Outdoor Provincials Girls Singles Finalist Orly Ogilvy. The U14 Boys Outdoor Provincial trophy winners!